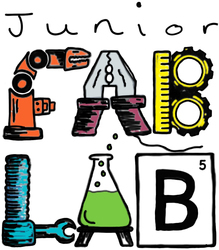 Our Junior FabLab STEAM (STEM) clubs allow 4-11 year olds to explore science, technology, engineering and maths through hands-on, creative after school clubs in their school. Each club contains either a practical challenge, an experiment or a project to make and take home. STEM or STEAM Clubs are a great way for young people to explore how things work, tinker and explore.